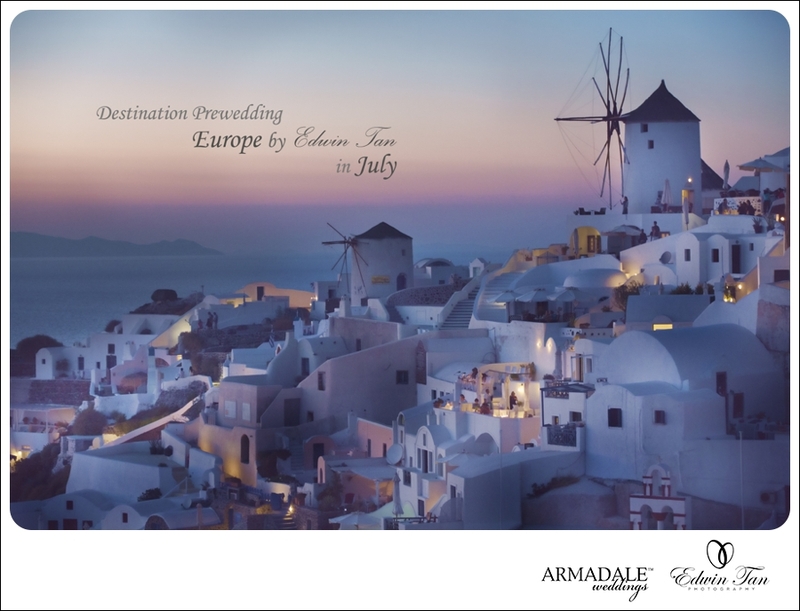 Overseas Europe Prewedding Locations including Paris / Santorini / Prague / Scotland / Frankfurt . Do email us at edwin @ edwintcg.com for further package details. Shirley Ng - We are planning our wedding, Now we are looking for a good photographer,we need more abour ur information, can u send us the details especially Europe Prewedding July 2013 Trip,how much the price about it, we need more information,thank you!